MURDERED: Japanese native Asami Nagakiya, murdered in 2016. 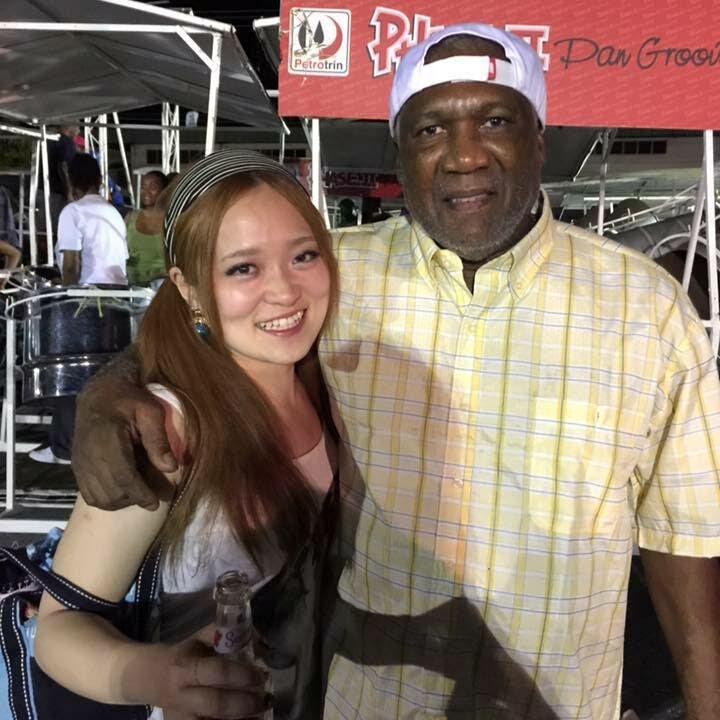 Fear has led to Japanese people virtually blanking TT Carnival this year, almost two years after one of their own, Asami Nagakiya, was strangled and her body dumped under a tree at the Queen’s Park Savannah. To date, her killer has not been found. This fear factor was confirmed yesterday by ace pan arranger Len ‘Boogsie’ Sharpe and Yoichi Watanabe, a Japanese who teaches music technology and audio engineering at the University of Trinidad and Tobago (UTT). Prior to Asami’s murder, when her body was found in the savannah on Ash Wednesday in 2016, it was a common sight to see dozens of Japanese in the country, first to participate in the Panorama competition and then to play mas on Carnival Monday and Tuesday. In 2016, Asami played in the band All Stars. This year, with the Reign of the Merry Monarch mere days away, only one Japanese national has been registered to play in Boogie’s Phase II Pan Groove pan side in the Panorama. Last year, two Japanese nationals visited TT for Carnival. Checks with sources at the Homicide Bureau of Investigations revealed that Asami’s case is still very much active, but no new leads have been forthcoming. During an interview yesterday at Newsday’s head-office on Chacon Street in Port of Spain, Watanabe said, “Unfortunately, I don’t see quite a lot of them in this country anymore. It has dropped as a result of that incident.” He pointed to this country’s high murder rate as being another factor that has kept Japanese nationals away. In January, 60 murders were committed. He also believes an apology is owed to Japan. Boogsie said he was hurt by the dwindling number of Japanese pannist whom he described as “nice and humble folks”, visiting this country for the Carnival. “No one has stood up yet and apologised to the Japanese people for what happened. They are such beautiful people...kind and humble,” Boogsie said. “Maybe the pan body or the Ministry of Culture should send an apology letter to them for what happened here two years ago,” he added. Boogsie said he never saw an apology from PanTrinbago or the Ministries of Culture and Tourism. Pan Trinbago dedicated their annual fund-raising concert to Asami. “I feel so sorry for what has happened,” Boogsie said. He said that Phase II had apologised to the Japanese players but feels an apology should come from the higher authorities, despite the fact that it has been almost two years since the murder. An official from the band Silver Stars, did not wish to go on the record on the issue except to confirm that there has been a marked reduction in the number of Japanese pan players coming to play since Asami was killed. Reply to "Japan blanks Carnival: Fear lingers 2 years after Asami’s murder"